If you thought the award winning Soccer Robot by OWI was awesome, the new speedy design of Soccer Pro is destined for action packed, unparalleled excitement. A third motor and hypersonic wheels have been added for your playing pleasure. Soccer Pro's additional motor is used to catch and shoot a ball (included). Its incredible fast track wheel system powers this unit to make unbelievable sonic maneuvers and can thrust you down the sideline for explosive break-a-ways. This unit will be a mechanical soccer player's dream for those who thrive on speed and coordination. Easy-to-follow, step-by-step instructions allow you to build this exciting interactive robot. Soccer Pro has two wheels, a retrieving and kicking mechanism, and a wired controller to activate movement and ball control. It runs forward, backward, turns left or right, and executes 360-degree turns. It will even help develop your hand/eye coordination skills. Play games, tournaments and surprise friends with great moves. After you have perfected your shooting skills and want to learn something about robots, our highly acclaimed set of instructions allow you to explore. Discover the History of Robots, Mechanism of three motor drive systems, Mechanism of wheeled drive system, and Investigate Wired Remote Control Systems. Requires four AA batteries. 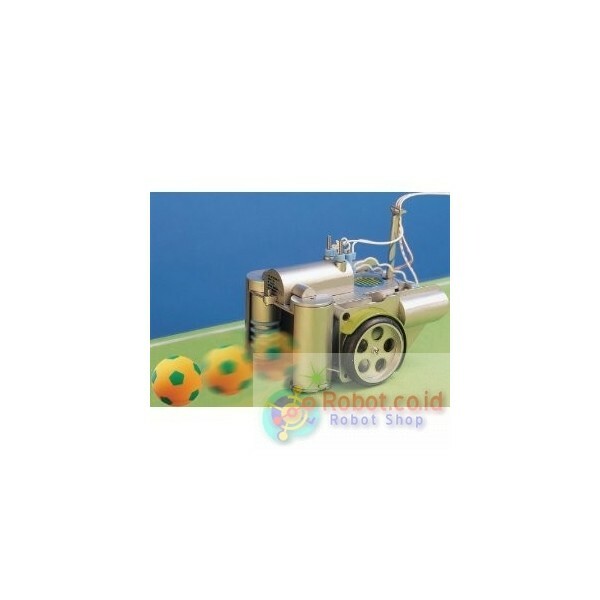 A high-speed, two-wheeled, rolling soccer-mad machine with three motors, hypersonic wheels and full wired remote control for forward, backward and rotate. -- Soccer Pro is a mechanical soccer fan's dream - the third motor is used to power the ball retrieving and kicking mechanism. Its incredible fast track wheel system allows this robot to make unbelievable sonic maneuvers and can thrust it down the sideline for explosive breakaways. 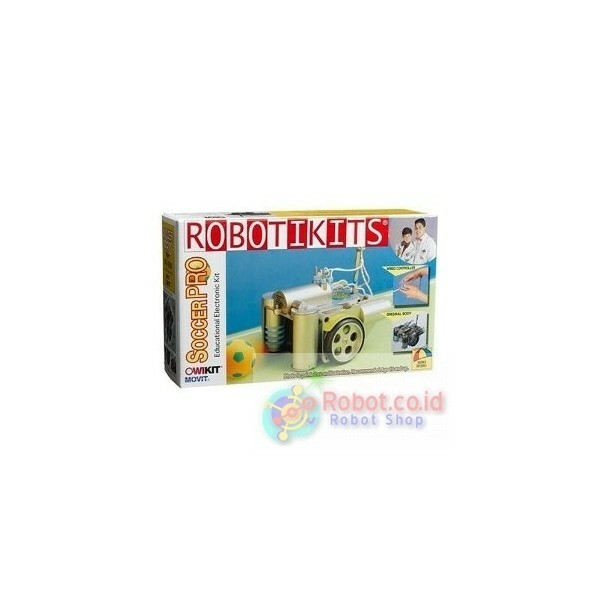 -- Kit includes information on the history of robots, the mechanism of three motor drive systems, the mechanism of wheeled drive systems and an investigation of wired remote control systems. -- This exciting kit requires no soldering. 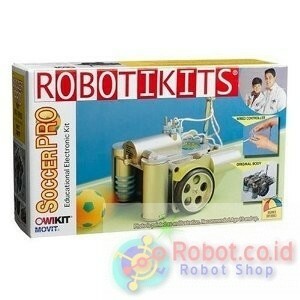 One robot per kit. Measures 5" x 3" x 4- 3/4". Powered by 4 "AA" batteries (not included). -- Skill Level I.